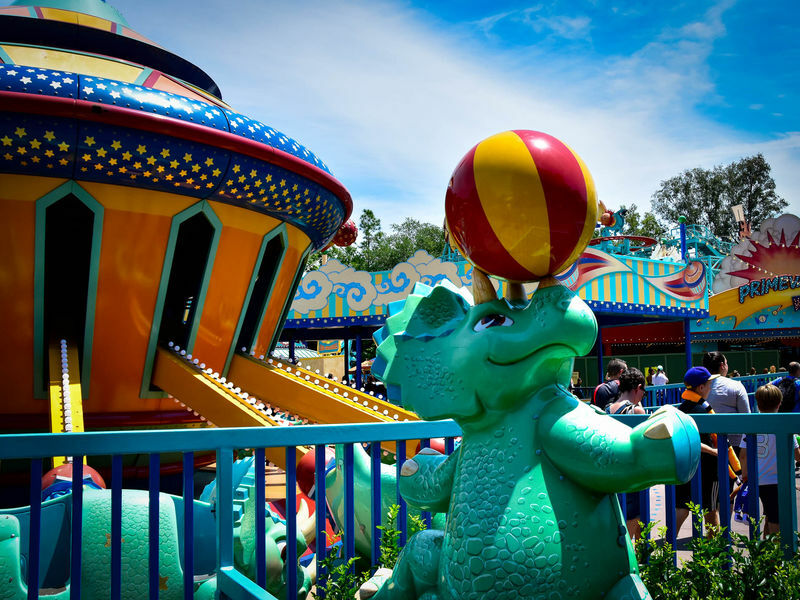 This is a dinosaur-themed playground, similar to the Honey I Shrunk the Kids Movie Set Adventure at the Disney's Hollywood Studios. 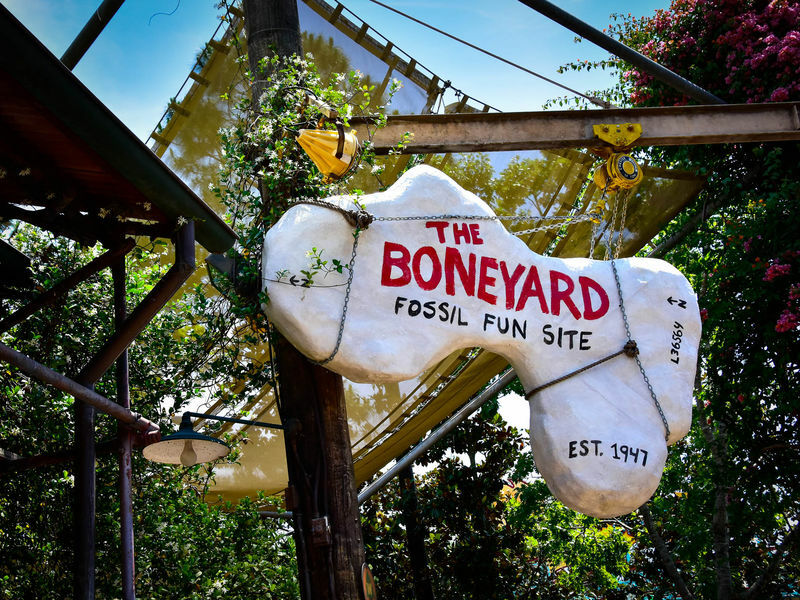 The entrance area includes a rope climbing structure with a few "debris chute" slides, a small cave, footprints that make dinosaur sounds when you step on them and a jeep to play on. Across a bridge built into an brachiosaurus skeleton is an area where young paleontologists can dig for fossils of a triceratops, a tyranosaurus rex and a wooly mammoth in sand pits that are refreshed periodically throughout the day. 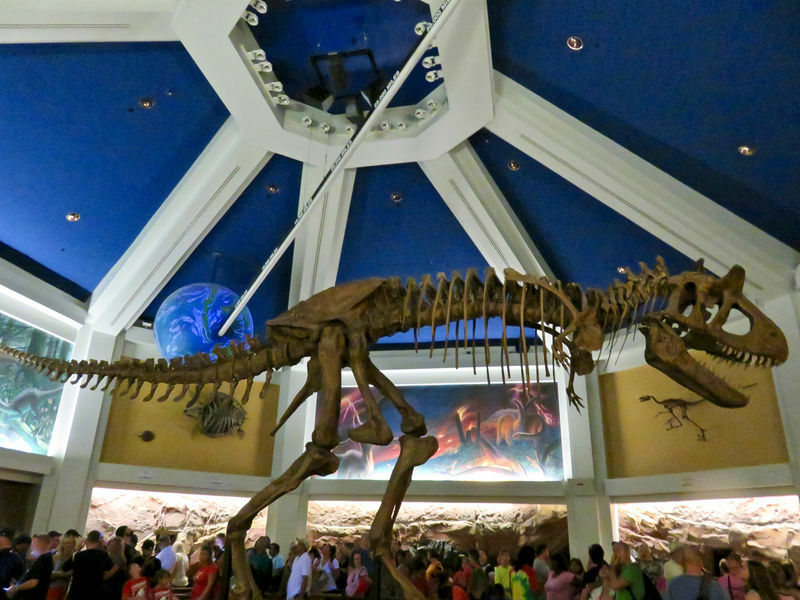 Location: Immediately to the left when you enter DinoLand from Discovery Island. Ride Capacity: Several dozen kids can play simultaneously. Wait Times: No waiting is generally necessary, though individual areas may get crowded. Length of Ride: Unlimited, however long you're willing to let the kids play. Ride Access: Though the surface throughout the area is soft, most areas are technically accessible. Wheelchair Transfer: Not necessary, though surface may make maneuvering difficult. Weight and Size Issues: Though adults are allowed into the play area, it is sized for children younger than 10. Other Issues: While the playground has two sections separated by a bridge, there is only one entrance and one exit to the playground. There are several areas where it is possible to lose sight of your children, both high in the rope climbing structure and atop the cave structure where the top of three of the "debris chute" slides are found.